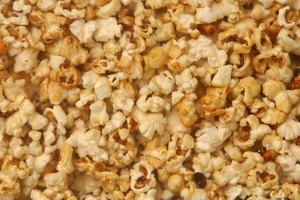 Popcorn is a whole grain food that, by itself, has very few calories, very low sodium, and no saturated fat or cholesterol. 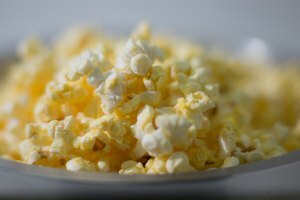 However, commercial popcorn products such as microwave popcorn and movie theater popcorn have a lot of things added that can make it much less healthy. 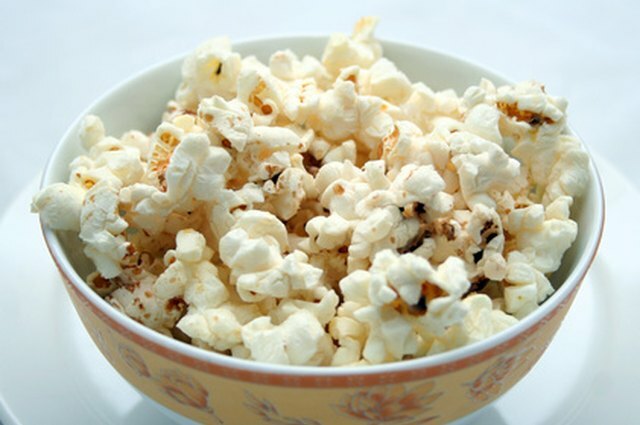 The healthiest way to cook popcorn is without added fat or salt. Electric hot air popcorn poppers will make plain, healthy popcorn, but you don't need any special equipment to make air-popped popcorn at home. Add popcorn kernels to the paper bag. For a lunch-sized bag, add about three tablespoons of kernels. Fold the top over and secure with tape. 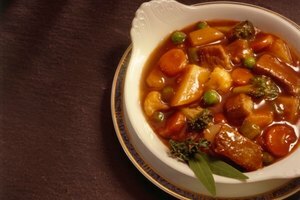 Place in the microwave and cook on high with the time set for two minutes. 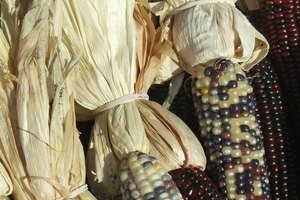 Listen for the corn to pop. When there is about five seconds between pops, stop the microwave and wait about 30 seconds. Remove the bag and open carefully. Eat plain for the healthiest popcorn. 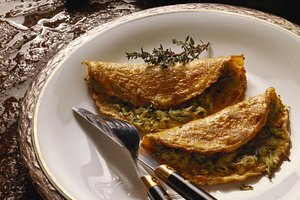 Add flavor by spraying or drizzling with olive or flaxseed oil and adding spices or a small amount of salt. A microwave-safe bowl with a lid can also be used to air pop popcorn--use the same cooking time. The steam from the popped popcorn is very hot -- be careful opening the bag.